A Framing 101 Post written for Radical Conversation enthusiasts. Framing creates context for an issue. Even just one word, like “taxes,” will evoke a frame. When you think of taxes, do you think of social programs, a strong defense, money coming out of your pocket? Do you imagine you would trust the people spending the taxes? Are taxes already too high, or inadequate? What emotions arise — do you feel bitter that you pay more than your share, or are you proud to help? Word choices, or especially references to a metaphor, can influence which frame is evoked. For a simple example, a "school bond" might get you thinking about schools. "Tax relief" aims to get you to think of taxes as something you requires relief — the phrase evokes the metaphor that taxes are a disease or affliction requiring relief. Facts work — when they support and reinforce your story or metaphor. This isn't magic. For example, if you are Pro-Choice and someone insists on calling fertilized eggs "babies," or if you are Pro-Life and someone tells a mother-to-be that that kick was just from "a lump of cells" — do you think these words will create the desired frame, or just convince the listener that you have little in common? Don't overdo framing: keep it simple, but make sure that when you share, you share values true to your heart, that you build and repeat stories around those values — and minimize time spent arguing against the other frame. George Lakoff is the most famous voice for framing on the left, especially for his book "Don't Think of an Elephant" — you can not argue "against" a frame without evoking that frame. If you say "don't think of an elephant" everyone will think of elephants; if you say "I oppose tax relief" everyone will think of taxes as an affliction. You have to argue your own points. He has a growing community on Facebook. This is a great place to get involved: proponents of framing and of radical heart-centered communication techniques have a lot to teach each other! — George Lakoff and Elisabeth Wehling, The Little Blue Book: The Essential Guide to Thinking and Talking Democratic. Another way to imagine frames is optical illusions. If you say "I'm against seeing a vase" while looking at this image, you're encouraging "moderates," people who can see this image as either faces or a vase, to focus on the vase. Trump has been a master at drawing our attention to issues that divide Americans, to issues that bring up feelings of defensiveness or shame for many people. Trump acts like a gang-leader, and has convinced just barely enough of the electorate that America is a gang-fight. Democrats often participate in this, treating him as a rival gang leader — with a rival gang! — reinforcing his metaphor, reinforcing his frame. "What should happen at the border?" "Do you think we should build a wall?" "How should a refugee family apply for asylum?" For immigration issues, framing isn't magic, but it is key: the more time spent on the stories of immigrant or refugee families, going into the story of their lives, ideally repeating the stories of a few until everyone knows their names, where they grew up, where they went to church — that is our frame, make those people real. The border, yes, do active listening, repeat back people's fears so they feel heard by you, but otherwise minimize talking about borders. Repetition is Key: the Death of "Civility"
A great example of framing is the "Contract with America" from the 1990s. There's not much inherit meaning in that phrase — liberals could have used it just as easily — but by using it over and over, Republicans gave it a meaning. Eventually, it became a shorthand: Republicans could rapidly evoke a whole set of ideas with just that phrase. Frames are built up. It's important that politician who agree on a policy goal start to build the same frame, the same underlying metaphor, together. Republicans are good at it: how many times have you heard "tax relief." They spend money on it: the experts I hear on the left write blogs, Frank Luntz on the right has big focus groups. Many more examples are easy to find — all from the GOP, in recent years. If you believe in something, you have to work with others until you can frame it quickly, not write multiple pages each time you bring up the concept. For example, the word "Civility" has been reframed in the past few years. Ten years ago, "civil" in a political conversation might have evoked "civil disobedience" and Gandhi or King. Today, it often evokes "civility police." 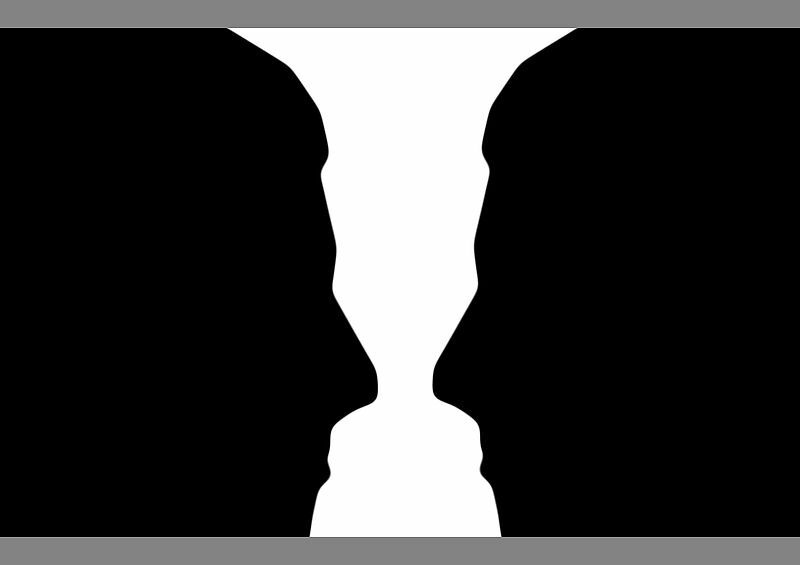 Think of the optical illusions: brains can conceptualize the word as one or the other, but not both at the same time. How did the transformation happen? How can your movement succeed if you can't control the narrative around some words or phrases that describe what you believe in? What can you do make sure that the words you use create the frame you want? I love this introduction to framing. Where the article you just read tries to explain different components, this gets straight to the heart: There is sometimes a tendency among liberals to be cowardly about their own supposed values, and to try to argue based on conservative premises. Lakoff in his own words. Framing is often about issues like protections (regulations), about Nazis (free speech) — but it can also be about the conversation. Radical conversations call for metaphors that evoke connection: Do you use facts like artillery? Action — Lakoff says: "Do this not just as individuals, but together as a party.” The Rapid Response team hopes to be the seed, combining all the techniques from SMART Politics and Cognitive Politics and anywhere else we find them into a form that can spread to Indivisibles and then politicians. After you've taken the Radical Conversations training, if framing and other techniques to influence social media at a large scale excite you, look for announcements on the facebook group and get involved!